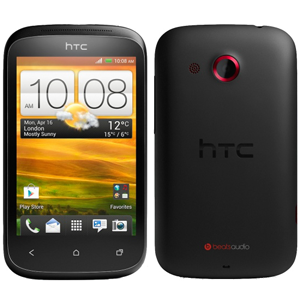 The HTC Desire C is a compact, entry-level smartphone. The device features much in common with its larger sibling, the HTC Desire V. Both devices feature single-core Qualcomm Snapdragon S1 processors, half a gig of RAM, and 4 gigs of internal storage. The Desire C's processor runs at 600 MHz, and it has a 3.5" HVGA screen. While not category-leading specifications, the Desire C packs enough punch to allow those looking for an inexpensive device to enjoy their first tastes of Android.